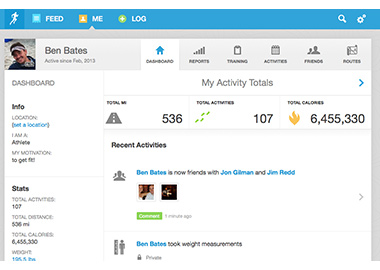 Together, RunKeeper and MyFitnessPal will help you meet your health and fitness goals. 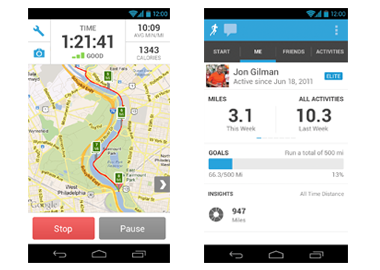 RunKeeper provides the workout tracking and guidance to keep you out and moving. It keeps tabs on just how many calories you burned while pounding the pavement and will automatically credit those to your Net Calories count in MyFitnessPal. 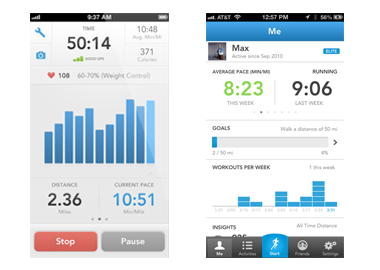 You’ll be able to seamlessly access key calorie, weight, and workout information across both apps, for one powerful health guide.